Payment processing technology options are endless as you may already know. Well, there’s a new kid in town. I’ve discussed countertop terminal options, POS systems and wireless processing options previously, but if you’re looking for a new option, you’re going to want to consider Clover. First Data just released their version of a simple point of sale (POS) and cash register system called Clover. It’s tablet style system that is particularly useful in retail and restaurant environments, and it does a lot more than just let you process payments. When the design and build team set out to bring Clover to the market they had 4 guiding principles in mind. Knowing the issues that some merchants have with expensive point of sale systems, the Clover designers hit all of the main areas of concern. In a demanding wireless world, sometimes connections fail. Clover is built with Ethernet connectivity AND 802.11a/b/g/n wireless connection options. Online backup has become commonplace so it’s no surprise that Clover has a cloud backup system in place as well. 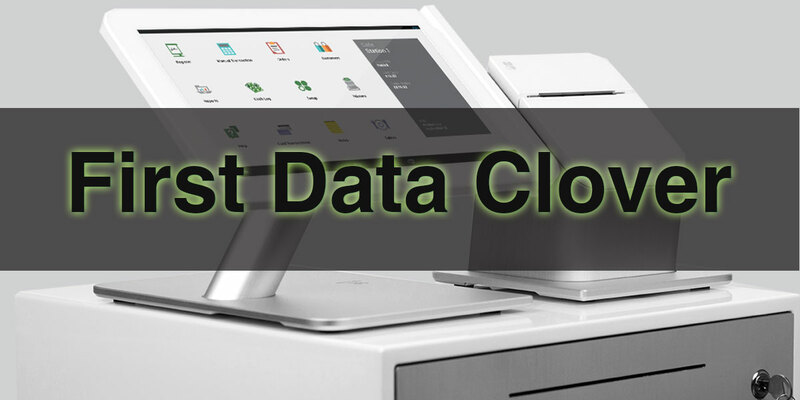 All orders/sales taken through the Clover system are stored in the cloud and properly encrypted so NO data is stored on the machine itself to comply with PCI Guidelines keeping your customers’ card information safe. Clover taps into an open market through the Android operating system. You have access to a community of developers and through the APP function within the Clover interface, you can customize your unit as you see fit. While the system comes with the cash drawer and a built in card reader, you can see that the system can be expanded to fit your needs. If you want to read full details about clover, click here to go to their site. And if you’re interested in learning more about how this machine will fit into your retail business, contact us for a personalized assessment.